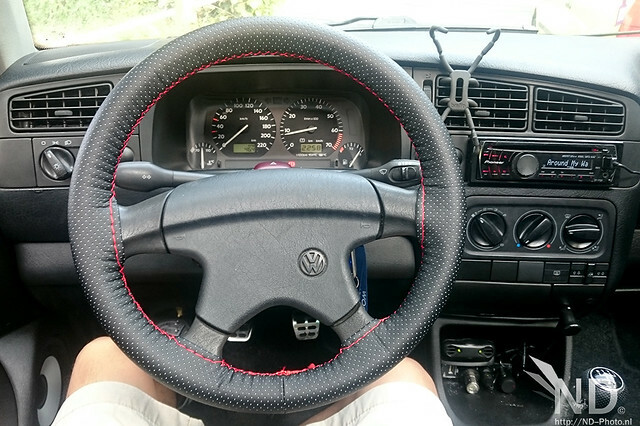 Bought a steering wheel cover, as the steering wheel had seen better days. 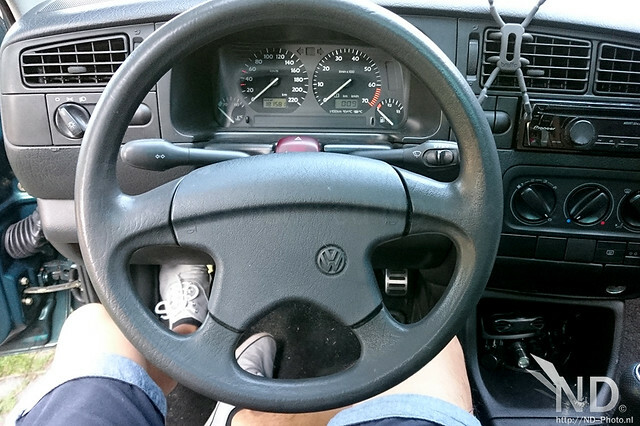 I have done this mod a couple of times before and was always happy with the result, so no hesitation this time 🙂 Again very pleased with the results. Costs about 5 USD from Aliexpress. 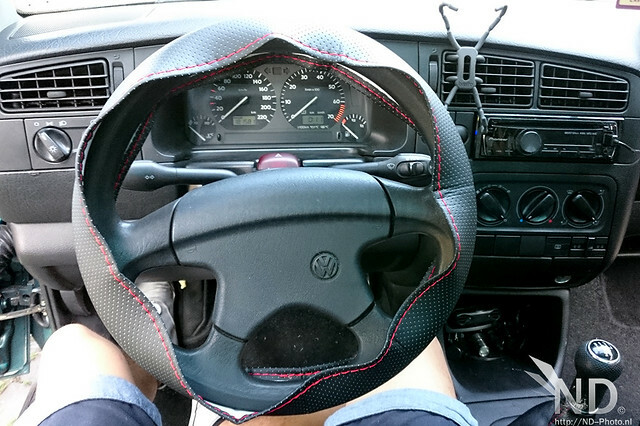 I chose black faux leather with red stitching for the VW Golf.